Planet Love Life are an eco-friendly organisation dedicated to creating innovative ways of recycling salvaged marine debris and educating the public about the harmful effects of pollution in our oceans. Products are created from marine debris that is collected and salvaged during beach cleanup projects. 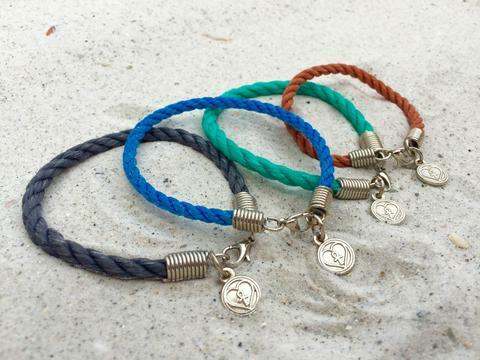 Each bracelet, necklace, and keychain represents the life of a marine animal saved from wildlife entanglement.